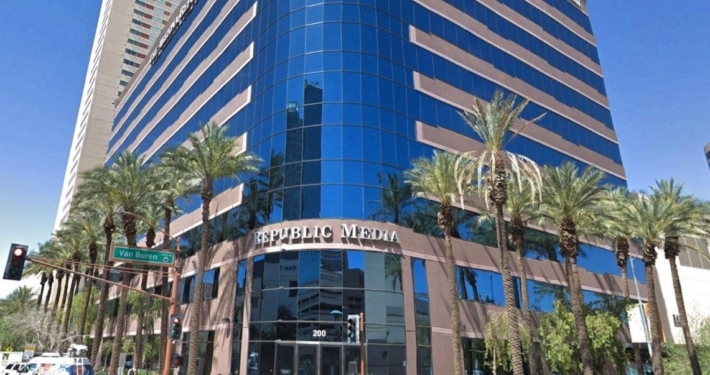 In December 2018, ViaWest Group purchased this 10-story office building at 200 E. Van Buren St. from Phoenix Newspapers, a subsidiary of Gannett. The property was built in 1997 and has approximately 240,076 rentable square feet. Gannett and television station owner Tegna, which was spun-off from Gannett in 2015, leased back 58% of the building for over 6 years, as part of the transaction. The purchase also included the 8-story, 885-stall separate parking garage, which is ideally situated across the street from ASU’s quickly-growing Downtown Phoenix campus that includes the law, journalism, nursing and social work schools.